The Order, also known as Camillians, has existed for over 400 years since it was founded in Rome by St Camillus in 1582. The Order began as a group of men who followed the example of a young man named Camillus de Lellis. Camillus wanted to assist those who were sick and dying in the hospitals in Rome in a voluntary capacity only for love of the merciful Jesus Christ. He invited other like-minded men to join him. The mandate of the Order is to care for the sick and the dying even with danger to one's own lfe. Camillus would often exhort his followers by quoting the words of Our Lord, 'I was sick and you visited me.' (Matthew 25:36). The General Visitation of the Province concluded on 17 June. It was condcted by Bro. 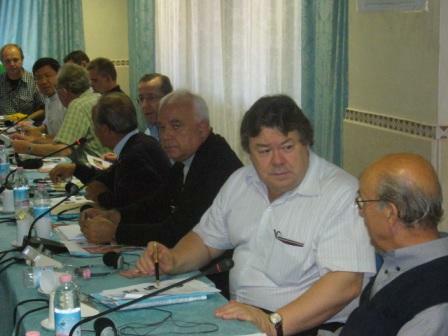 Luca Perletti, Secretary General and Fr Babychan Pazhanilath, Consultor. 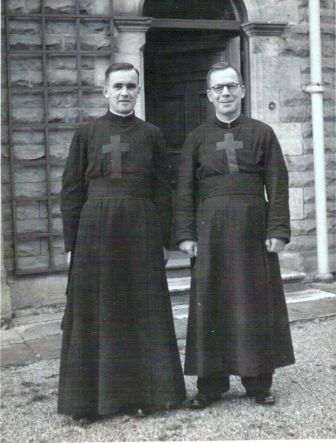 Fr Tom O'Connor & Bro. 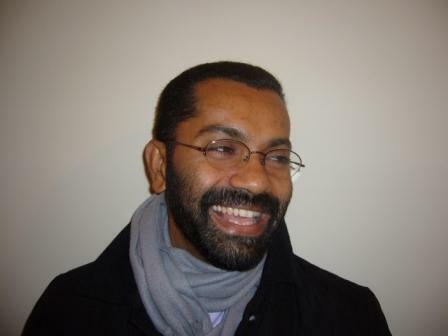 Luca Perletti. 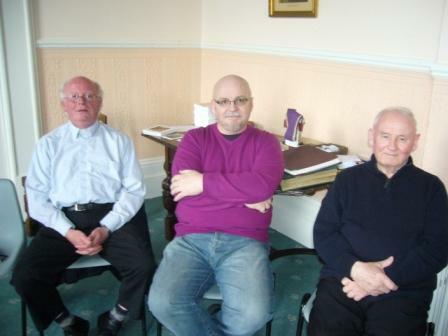 Fr Martin Geraghty, Fr Nik Houlihan & Fr Andrew Carroll. Friday 10 June, Bro. 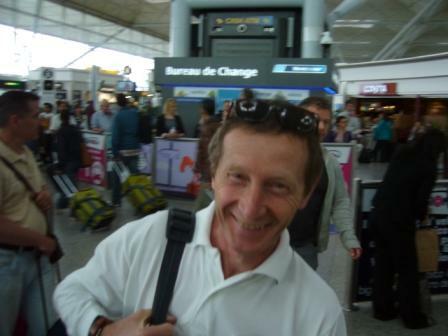 Luca arrives at Stansted Airport London. 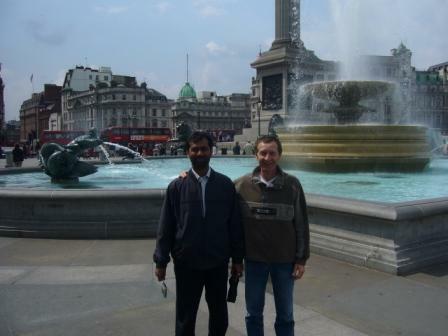 Saturday 11 June, Trafalgar Sq. Seeing the sights of London. with Bro. Camillus in Hackney. 2 June. 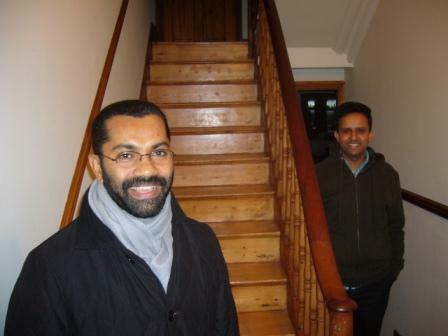 Fr Stephen with Fr Shibin, our Indian missionary to Uganda pictured at St Vincent's St Dublin where Fr Shibin spent a couple of days before leaving for his trip to India. 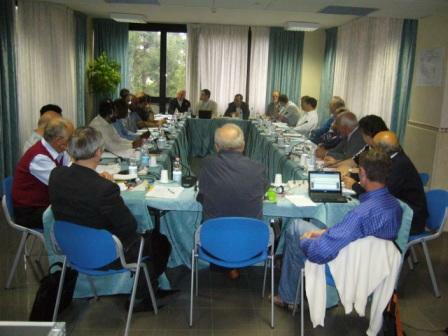 Recently the Great Camillian Family met in Rome for a 2 day meeting, 24-25 May. 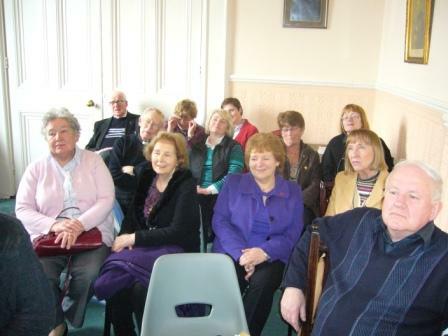 Above, some of the Lay Camillian Family in Ireland at the recent Camillian AGM. 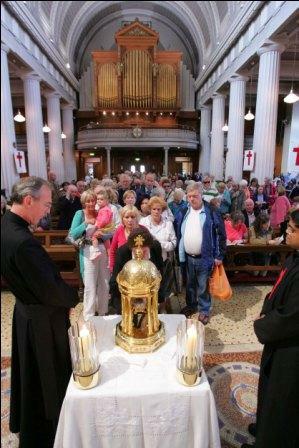 click here for newsletter August 2010 on the visit of the Heart of St Camillus to Ireland. 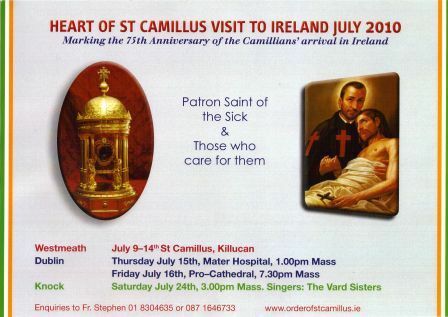 Click here to see the video we used to accompany the visit of the Heart of St Camillus to Ireland. 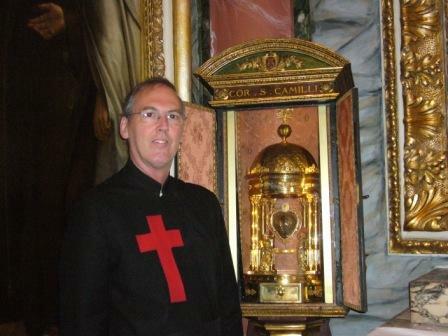 Fr Stephen Foster, Provincial, returns the Heart of St Camillus to the chapel in our motherhouse in Rome on the 26th July 2010 after the successful visit to Ireland. The Motherhouse is located in Rome at our church of Maria Maddalena, approximately 50-100 metres forward from the Pantheon. Located in Piazza della Maddalena, forward from Piazza dell Pantheon. The Camillians thank all who visited the Heart while it was in Ireland. You are welcome to visit the Heart and our Church in Rome. Camillians. 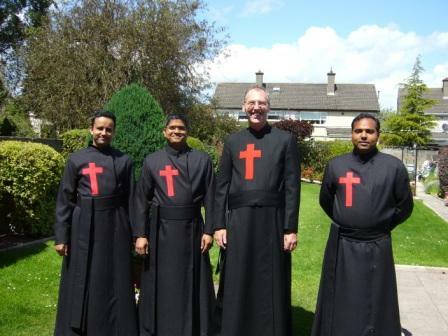 Frs Vincent Xavier, Stephen Foster, Nik Houlihan, Jayan Joseph & Arnaldo Pangrazzi with the Heart of St Camillus. 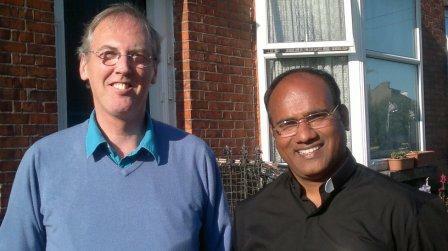 GREAT NEWS The second Indian confrere, Fr Shibin Apparthannattu, arrives at our Uganda Mission on Tuesday 3 August. Thank you Fr Shibin for generously volunteering to help us in our Mission. Let us pray for great success. Praise God. 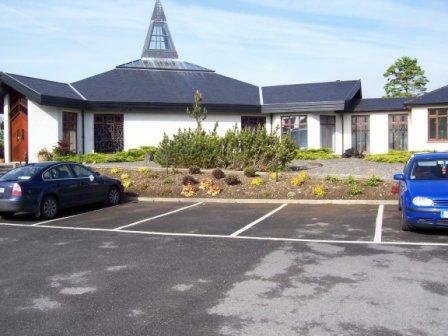 KNOCK SHRINE - MAYO Six thousand visit the Heart in Knock on Saturday July 24. The Heart returned to Rome on Monday July 26. 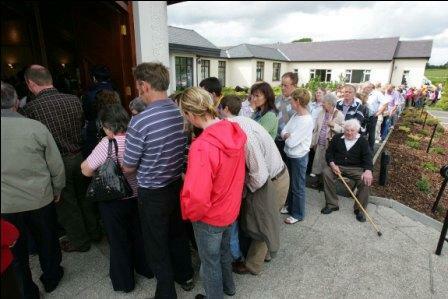 The People queue for veneration. 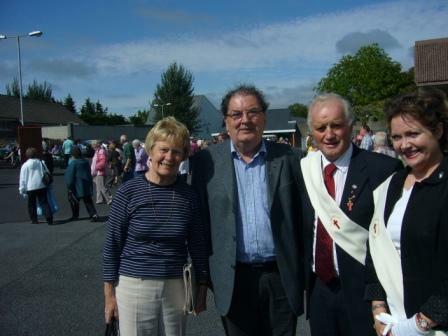 Camillians left to right, Fr Pat McKenna, Bro. 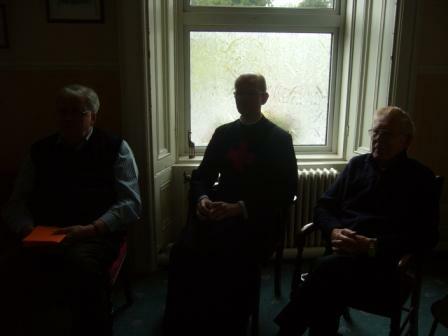 John O'Brien, Bishop Michael Smith, Bishop of Meath & Fr Stephen Foster, Provincial Anglo-Irish Province. 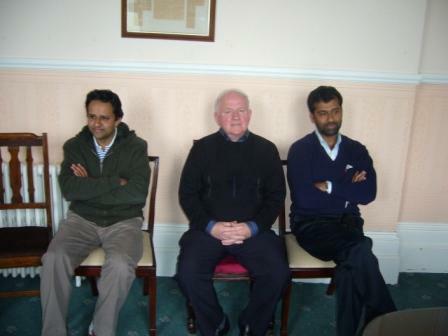 on the right, Fr Richard, Parish Priest & Mons. Marren. 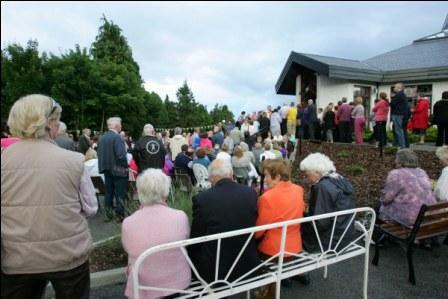 not enough room in the chapel for Mass each evening but thank God the weather was good. 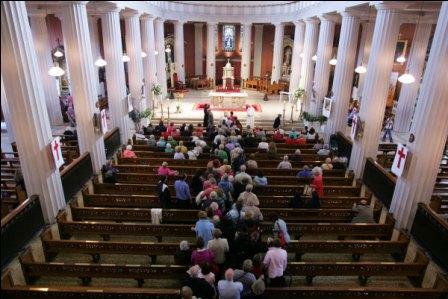 FRIDAY 16 JULY- THE HEART WAS TAKEN TO THE PRO CATHEDRAL. 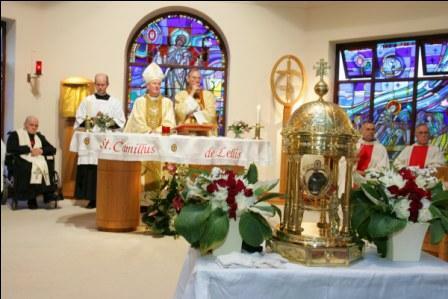 1000 (ONE THOUSAND) ATTENDED MASS TO SAY NOTHING OF THOSE WHO ATTENDED THE VENERATION OF THE RELIC. 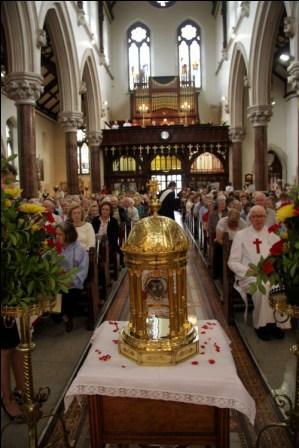 Hundreds line up at the Pro-Cathedral to venerate the Heart of St Camillus. Thursday, 15 July - arrival at the Mater Hospital. Fr Stephen Foster, Provincial of the Order of St Camillus says the prayer of welcome at the Mater Hopsital Chapel welcoming the heart of St Camillus, Patron Saint of the Sick and those who care for them. 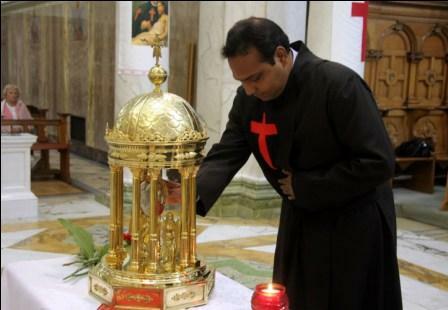 Fr Jayan Joseph (Indian Camillian) venerating the Heart of St Camillus. 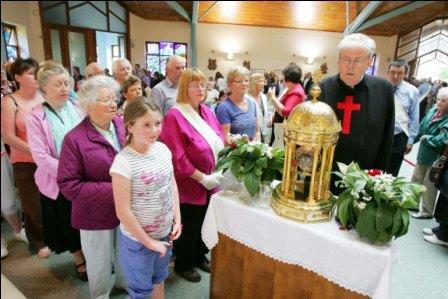 Whilst difficult to predict numbers, we estimate at least 3000(three thousand) pilgrims came to venerate the Relic and participate in Mass on Sunday 11th at St Camillus Nursing Centre, Killucan; the beginning of the Triduum. Monday 12th July we estimate at least 5000(five thousand) attended. 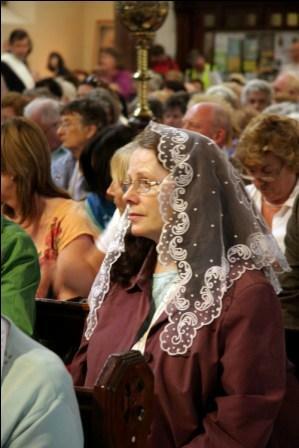 Tuesday 13th July saw at least 7000(seven thousand) come to Killucan to venerate the Heart and celebrate the Mass. wednesday 14th July saw approximately 9000(nine thousand) at Killucan. 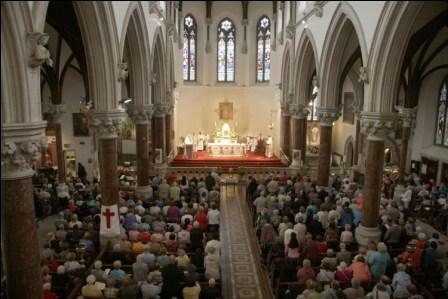 Thursday morning saw the Heart leave Killucan for Dublin and huge numbers turned out for the Mass at St Joseph's Berkeley Rd. There was also a big turn out at the Mater Hospital. God bless you all. 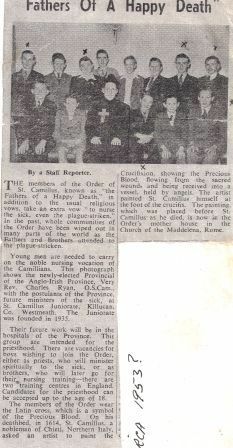 CELEBRATING THE 75TH ANNIVERSARY OF THE CAMILLIANS' ARRIVAL IN IRELAND - CARING FOR THE SICK. WE PRAY FOR ALL THOSE WHO ARE SICK OR SUFFERING IN ANY WAY. 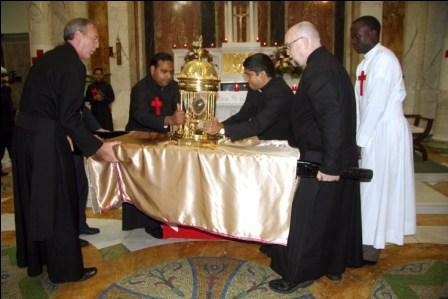 WE PRAY FOR ALL WHO VISIT THE RELIC. 'Because of such extraordinary love, those who witnessed it were convinced that St. Camillus’ heart should bear a visible mark of it; that is why, after his death they wanted to look at his heart. An eye-witness maintained that “the heart was so beautiful it looked like a ruby, and it was so big to leave people astonished. Providence was in favour of the Saint and of his Sons, making the heart remain uncorrupted and so it is still nowadays, for the admiration and devotion of his faithful” ' (M. Vanti, lo Spirito di San Camillo, 1986, V edizione, pg. 379-380). 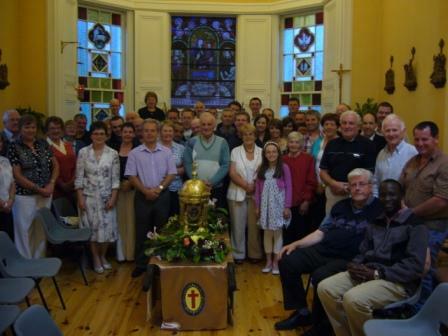 The Heart arrived in Ireland on Friday July 9, 2010 and is taken to Killucan to celebrate the 75th anniversary of the Order's beginnings in Ireland. Travelling from Dublin, the turnoff for Killucan is approximately 4 miles after Kinnegad on the old Mullingar Rd. Drive through the picturesque town of Kinnegad and continue out on the old Mullingar Rd and you will see the sign for Killucan after approximately 4 miles. Turn right at this sign and follow the road in for approximately 2 miles. St Camillus is on your left. 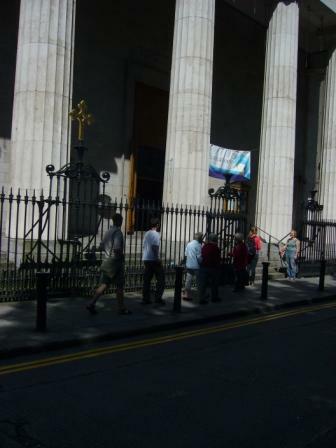 The Church is located 50 metres in front of the Mater Hospital. Some of the Camillians preparing for the arrival of the Heart of St Camillus. 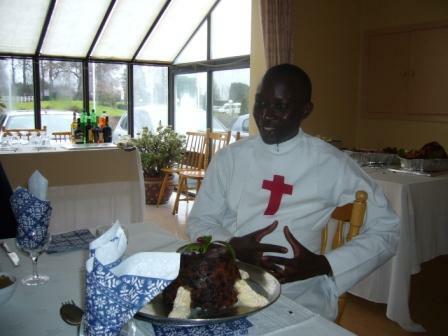 of our 1st Ugandan Camillian took place on Sunday, 2 January 2011 during 1030am Mass at St Camillus, Killucan Co. Westmeath. Please remember Richard and his family in your prayers. Some of the Camillians after Mass with Richard. 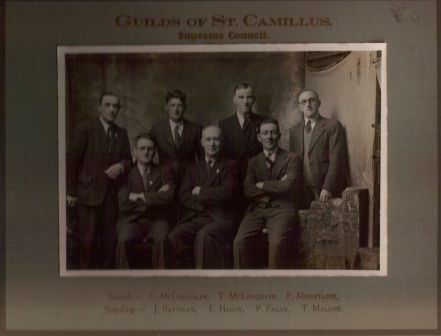 Back row l to r. Nik Houlihan, Tom Smith, John O'Brien, Augustine McCormack, John Philip, Martin Geraghty & Tom O'Connor. 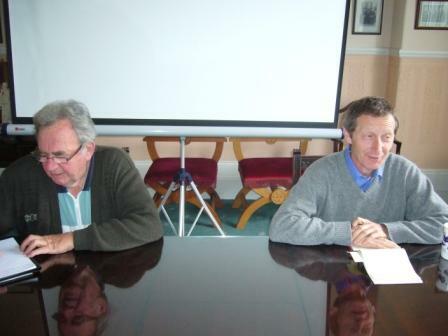 Front row, l to r, Pat Benedict McKenna, Richard Lubaale, Noel Carrigg & Stephen Foster. Richard congratulated by the Provincial, Fr Stephen Foster. 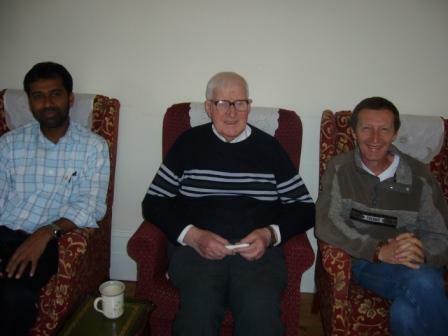 Fr Tom O'Connor, left & Fr Tom Smith, right, the first Camillian Missionaries to Uganda. 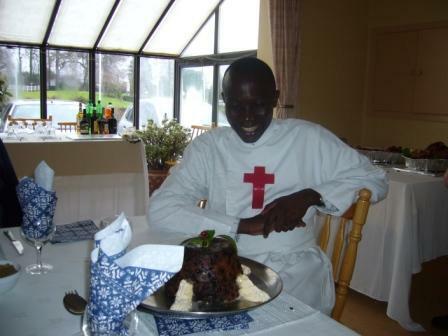 Richard with one of the Residents in Killucan after Mass. Bro. John carries in Richard's cake after lunch. He's ready for it now. THIS YEAR, THE PROVINCE CELEBRATED 75 YEARS. SEE BELOW SOME OF OUR PHOTOS FROM THE PAST. THE EDITOR IS UNABLE TO NAME ALL, SO ANY HELP IS GREATLY APPRECIATED. 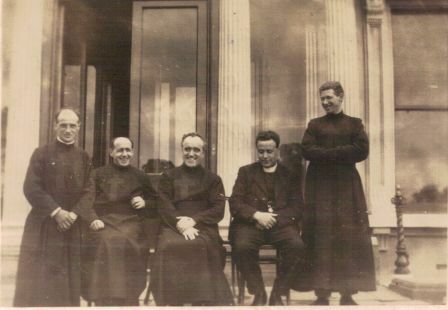 Back row, Liam Donnelly, Brendan Magan,RIP, Fr Andrew Carroll, Patsy Burns, Bro. Gabriel Brady, Bro. Edmund Wilde, RIP, Liam Ryan, ?, Bro. Joseph Corcoran RIP, Bro. 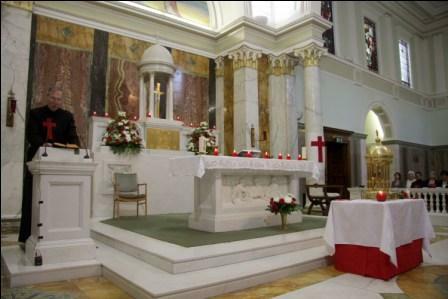 Kevin McCabe RIP, Fr Brendan Conway,RIP, Fr Paud, Fr Tom O'Connor. l to r. Bro. 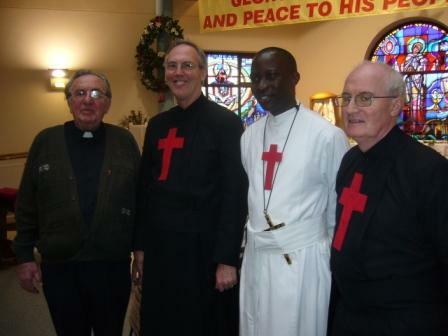 Etienne Desbois, Fr Meislelin, French Provincial, Fr Rubini, Superior General, Fr Terence O'Rourke, Founder of the Anglo-Irish Province & Bro. Paul. 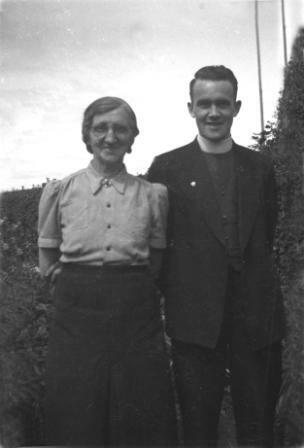 circa November 1938 at Killucan, Co. Westmeath. 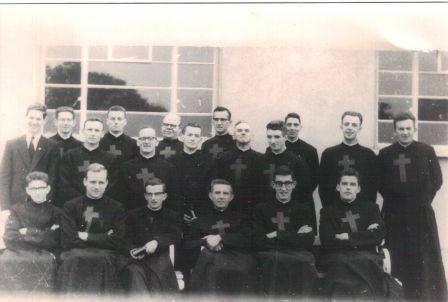 circa 1953 some of the young postulants with Fr Ryan. 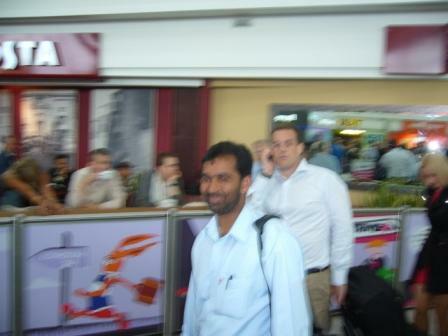 FR REGI, VICE-PROVINCIAL OF INDIA has returned to India after visiting his Indian confreres and the Anglo-Irish Province. His visit to Ireland was short but enjoyable & enriching. God bless you Fr Regi and all the Vice Province of India. 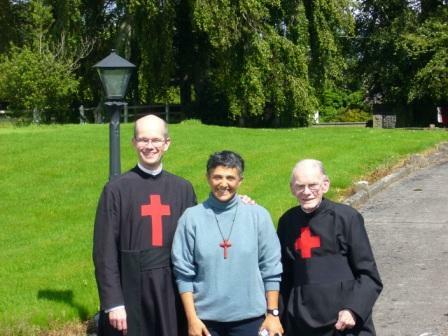 Fr Regi's first day in Ireland, 20 October 2010. 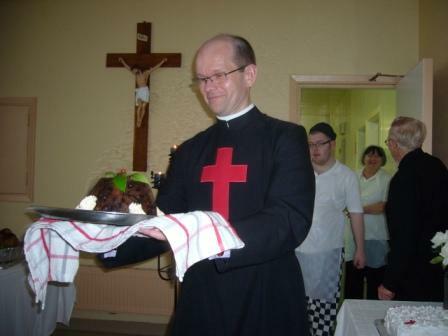 Fr John looks on. WOULD YOU LIKE US ALL TO PRAY FOR YOUR LOVED ONE WHO IS SICK? PLEASE SEE IN THE MENU THE TITLE, 'THE SICK.' YOU ARE WELCOME TO POST YOUR PRAYER THERE AND WE WILL ALL PRAY FOR YOUR LOVED ONE. 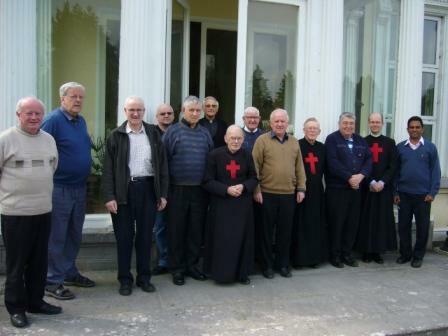 NEWS The Provincials of the Order met for their annual meeting together with the General Consulta. 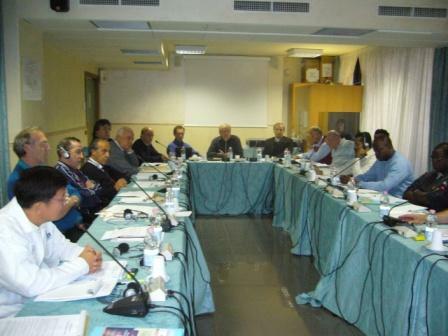 It took place in Rome from 6-9 October. DON'T STARE INTO THE SUN DURING THE COFFEE BREAK, FRS FOSTER, ANGLO-IRISH & O'DONNELL, NORTH AMERICAN. SOME OF THE NATIONS AND REGIONS REPRESENTED AT THE PROVINCIALS MEETING, left to right, POLAND THAILAND IRELAND GERMANY SICILY N AMERICA ROME BRAZIL SPAIN & MANY OTHERS. 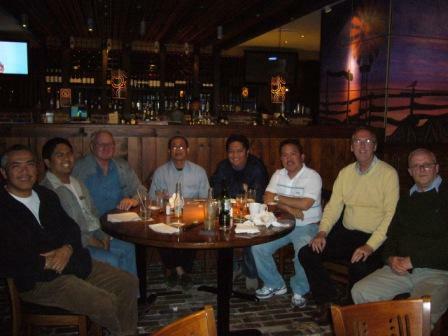 3 PROVINCIALS FRS GREGOSTH, AUSTRIA, THIERRY, FRANCE & ROLY, PHILLIPINES. 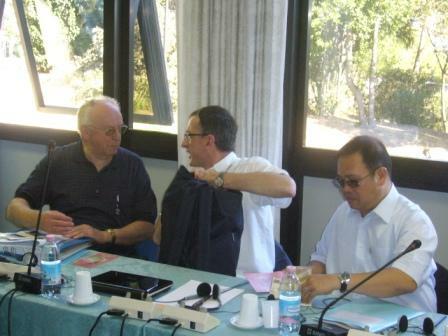 Fr General, Renato Salvatore, Fr Paolo Gaurise, Consultor & Fr Guiseppe Didone, Taiwan Delegate. 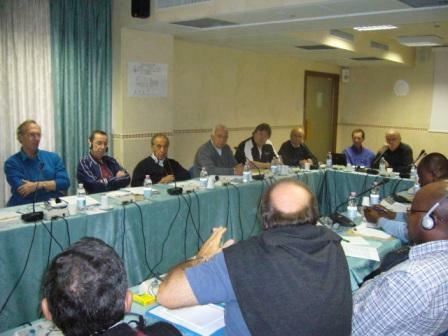 Facing camera, Frs Stephen Foster, Anglo-Irish, Richard O'Donnell, North American, Rosario Messina, Sicilian, Emilio Blasi, Roman, Leo Pessini, Brazilian, Francisco Alvarez, Spanish, Bro. 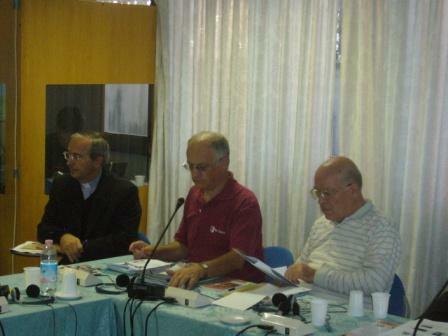 Luca Perletti, Secretary General, Jesus Rodriguez, Vicar General listening to Fr Vittorio Paleari, Lombard Venetian Provincial as he makes a point. 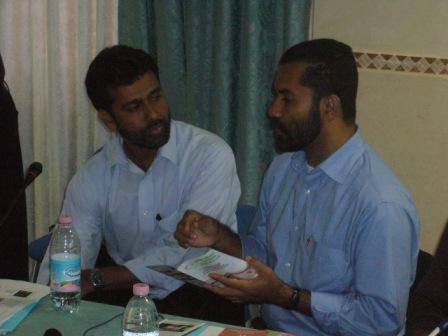 Frs Babychan, Consultor & Regi, Vice Provincial India. 1st left Fr Paul Cherchai, Vice Provincial Thailand. 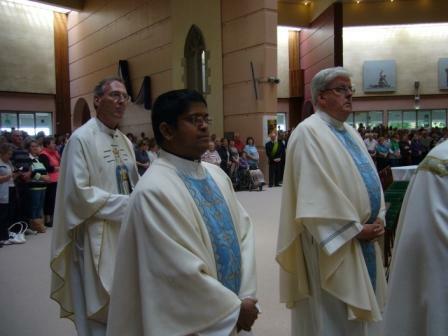 L TO R. FR Dado, Fr Michael, Bro. 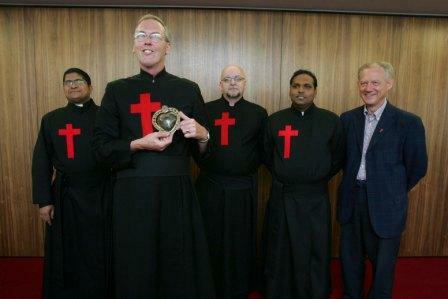 Eric, Fr Reggie, Fr Jojo, Fr Nilo, Fr Stephen & Fr Giulio, 13 September 2010. THE FIRST CAMILLIANS ARRIVE IN AUSTRALIA, September 30, 1963. 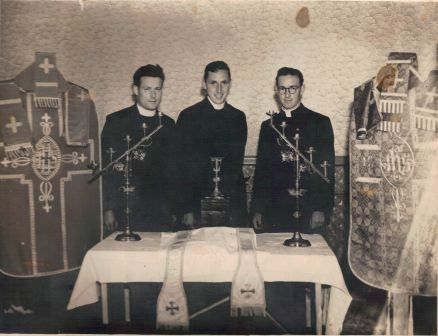 The above photograph was taken after the Induction of Fr Cleary as Parish Priest of Carlisle on October 6, 1963. 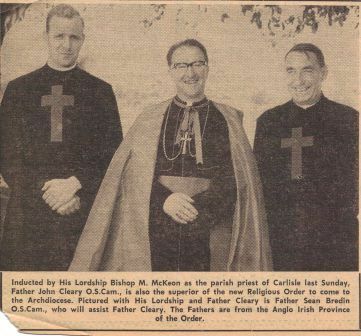 The text in the newspaper clipping says:- Inducted by His Lordship Bishop M McKeon as the parish priest of Carlisle last Sunday, Father John Cleary O.S.Cam., is also the superior of the new Religious Order to come to the Archdiocese. 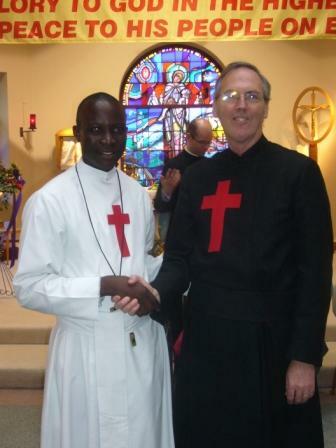 Pictured with His Lordship and Father Cleary is Father Sean Bredin O.S.Cam., who will assist Father Cleary. 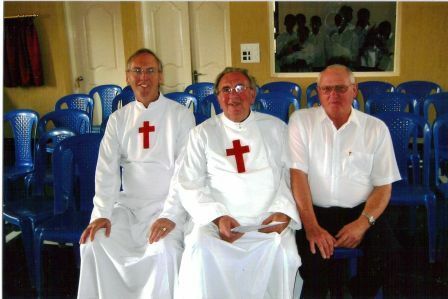 The Fathers are from the Anglo-Irish Province of the Order. 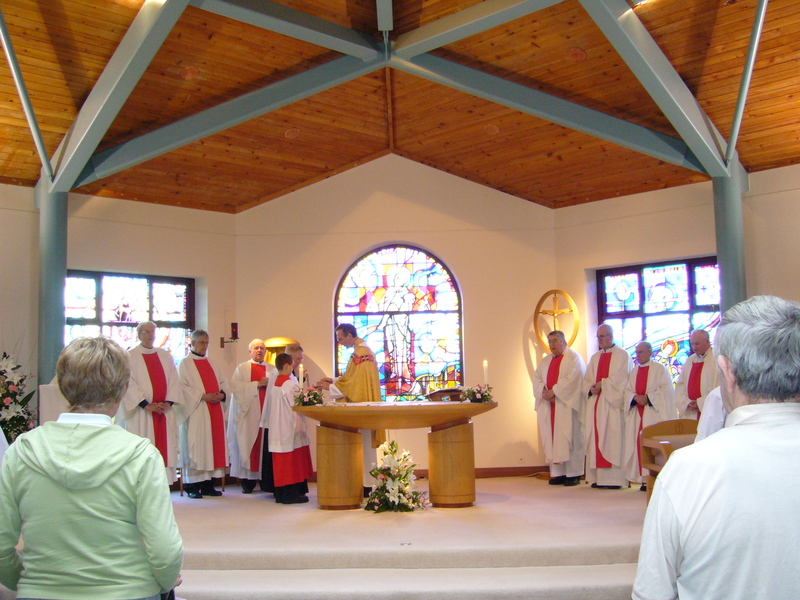 I had the privilege of celebrating Mass with Bishop McKeon during my visit to the St John of God Villa in Subiaco, Perth on Tuesday 21 September, 2010 whilst I was in Australia. 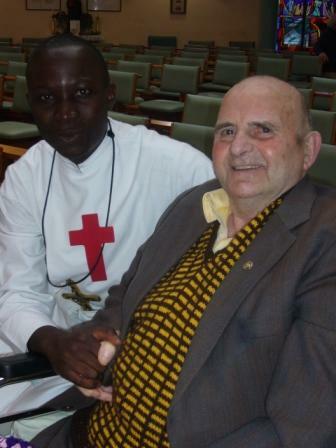 Bishop McKeon is 91 years young. 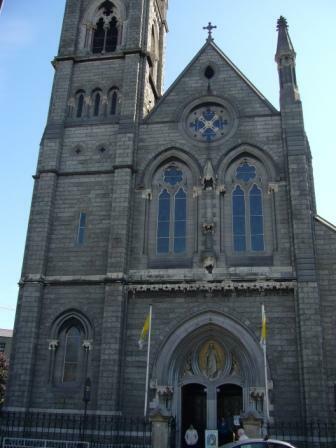 Fr Terence O'Rourke - Founder & First Provincial of the Irish Province - later to become the Anglo-Irish Province. 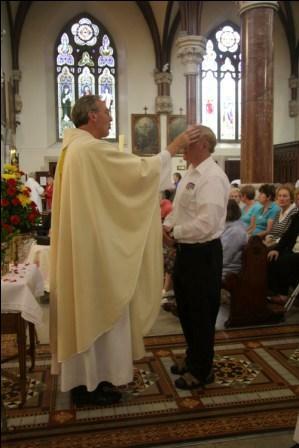 Fr O'Rourke was thinking about becoming a priest during his teenage years. 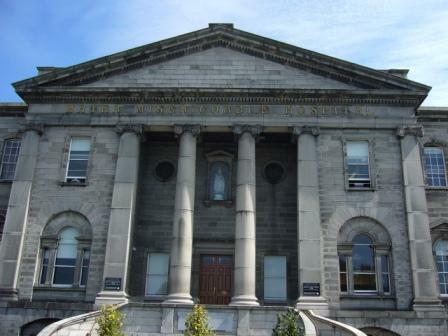 During one summer holiday in Dundalk he was visiting the local library searching the shelves for something inspiring to read. As he did so, one book from the shelf fell to the floor. It was 'The Life of St Camillus'. He then decided to join this Order but discovered there were no Camillians in Ireland. The nearest Camillian houses were in France and Belgium. 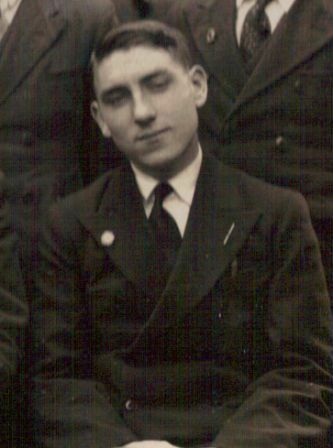 So Terence O'Rourke travelled to France where he joined the Order and studied for the priesthood both here as well as in Belgium. 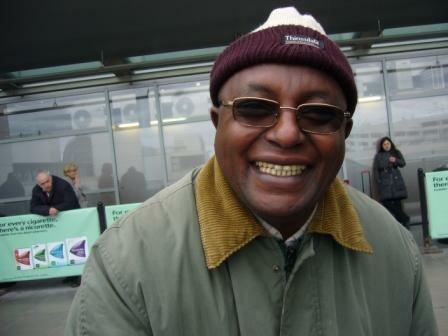 He became the first Irish Camillian member. 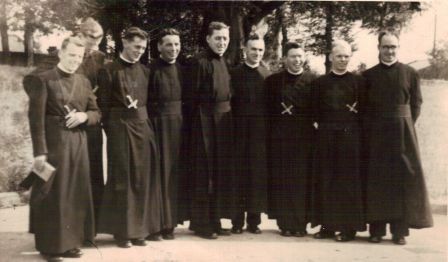 Fr O'Rourke came back to Ireland in 1935 from France with a small number of Irish Camillians who were at that time members of the French Province. 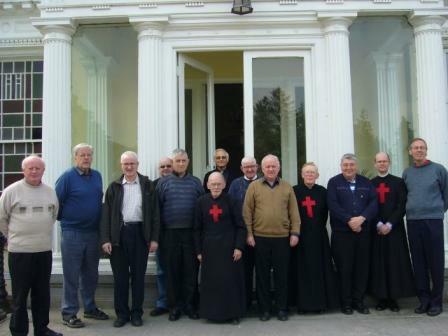 Fr O'Rourke managed to secure with the help of a bank loan and much help from the Guild of St Camillus the House at Riverstown, Killucan Co. Westmeath. This was to become the Mother House of our Province. The advent of the Second World War in 1939 made travel and communication exceedingly difficult. The Irish Province officially came into being in 1946. This photograph was taken c. 1928. 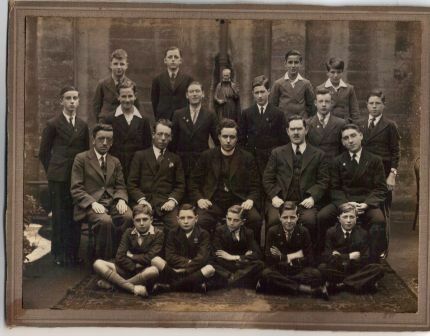 At the back row second left, a young Charles Ryan, later to be Fr Charles Ryan & second Provincial of the Anglo-Irish Province following the unexpected & untimely death of Fr O'Rourke. After the war the Irish Province spread to England and set up houses in Birmingham, London and Hexham. The Province now became known as Anglo-Irish. The House in London was located at Hornsey Lane in north London. Many Camillians worked here for a number of years and the Brothers would live here whilst studying for their nursing qualifications in the London Hospitals. Hospitals such as the Whittington and the Royal London at Whitechapel and Mile End. Unfortunately the house in Hornsey Lane was closed in the 60s and it appeared that the Camillian presence in London was over. But in 1983, at the invitation of the late Cardinal Hume, OSB, two Camillians arrived in London and set up base at Hackney in the EastEnd of London. 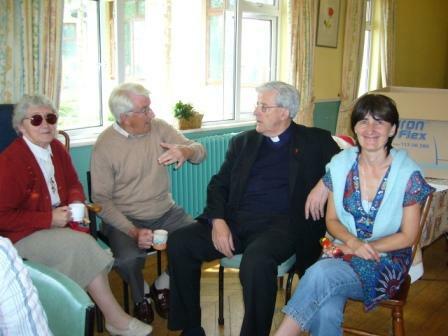 They were kindly accomodated rent free in a house owned by the Sisters of Jesus and Mary (Chigwell Sisters) They set to work as chaplains to St Joseph's Hospice (run by the Sisters of Charity) and to Hackney Hospital (which in 1986 became Homerton and Hackney Hospital). Also during the early 60s the Camillians sent two members to Perth, Western Australia at the request of the Archbishop of Perth. They were soon joined by a third member. It was in the year 2000 that the Province decided to open up a Mission in Uganda and two members of the Province volunteered for this task. 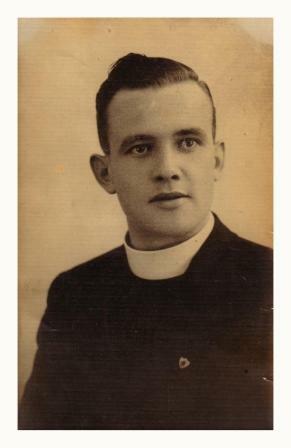 Fr John Cleary, pictured above while he was a student. 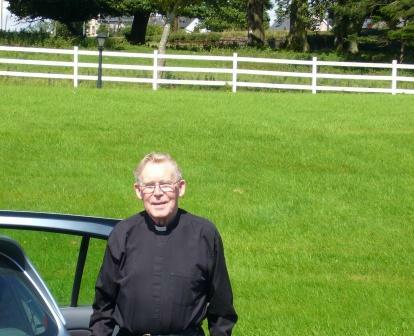 Fr Cleary was Novice Master in Killucan Co. Westmeath for many years and formed many of our Camillians today. 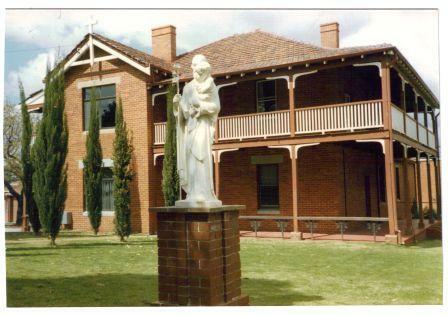 When the Camillians opened up a new house in Perth, Western Australia Fr Cleary was one of the first Camillians to be posted there and stayed until his death in May 1977. 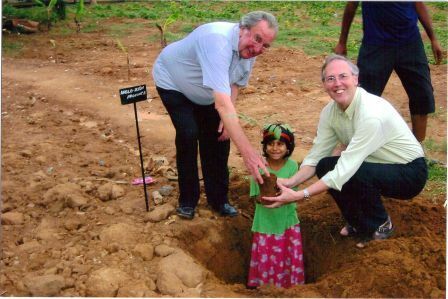 During the meeting, each Province planted a little sapling that will grow. Above we see Frs O'Connor & Foster planting the Anglo-Irish tree with a little help from our friends. Flash backs from the past. 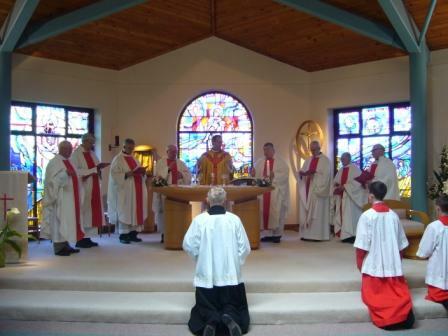 The above shows the 25th anniversary celebration of Brother George Howarth's Profession as a Camillian. 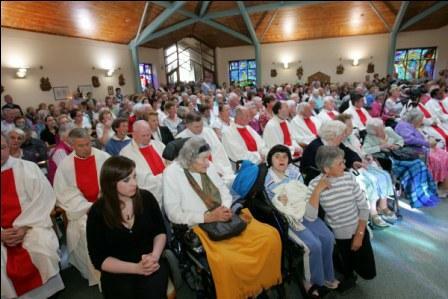 The photograph was taken after Mass at St Camillus, Hexham, England. 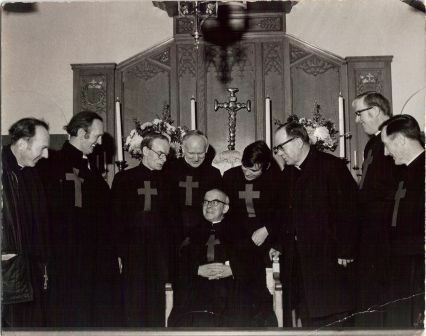 Fr Frank Monks and family members. 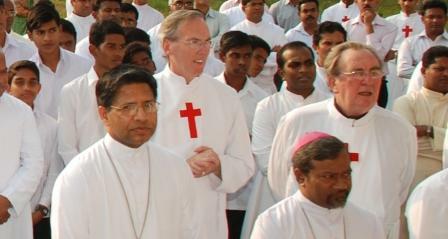 As above, except far right, Fr Mathew Perumpil, Vice-Provincial, Indian Vice-Province. 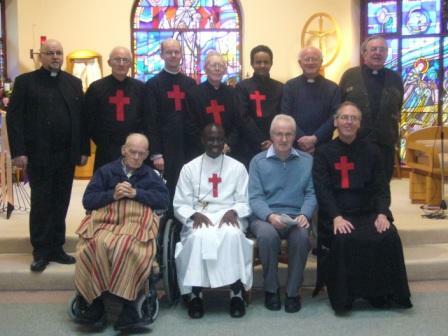 Centre of picture shows Fr Charles Ryan, second Provincial of the Anglo-Irish Province. On the right is Fr Pat Craven and on the left is Fr. Hugh Sheridan. 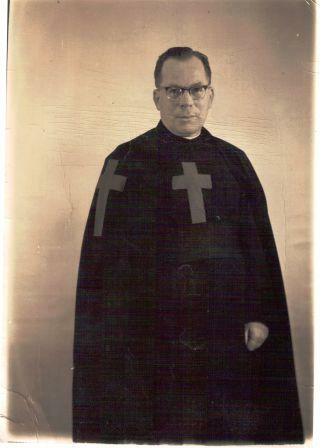 FIRST PROFESSION, 29 September, 1953. Left to Right: Bro. 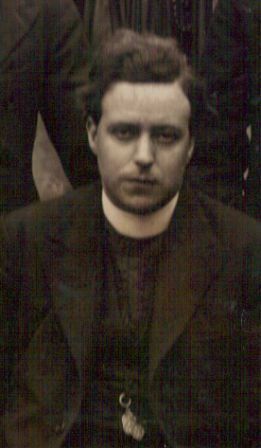 Finbar, Bro.Camillus (James) McHugh, Bro. 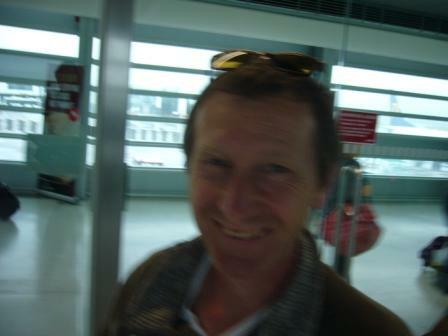 John (Brendan) Carr, Bro. 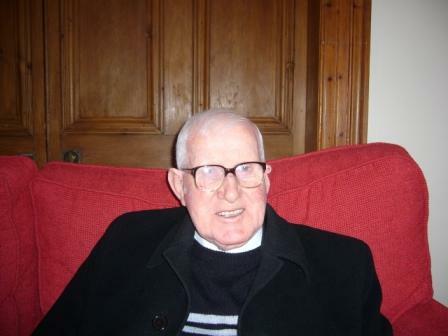 Canice, Fr Charles Ryan, Bro. Joseph (Michael) Corcoran, Bro. 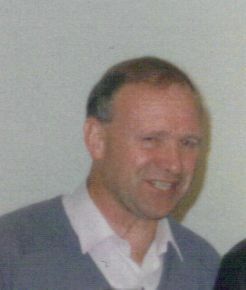 Augustine (Patrick) McCormack, Bro. 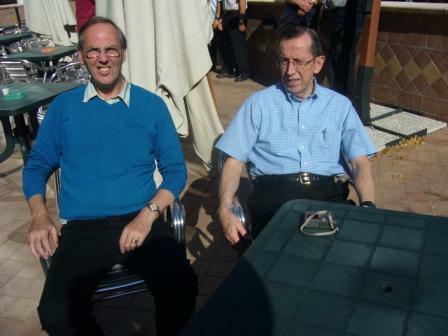 Benedict(Fr Pat) McKenna and Fr Pat Craven. Frs Pat Kenny & Jim Archer outside the Hexham Community House. Bro. 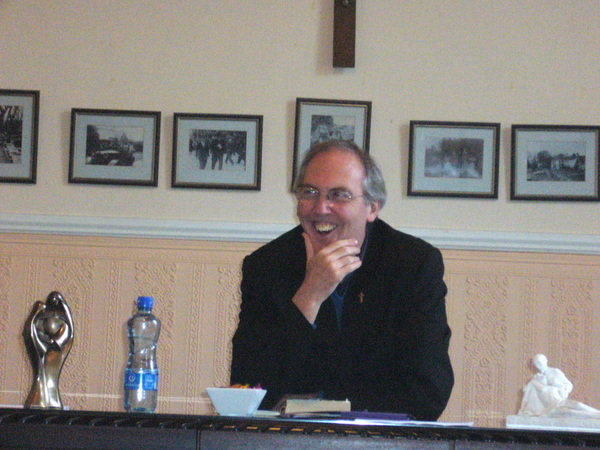 Camillus - James McHugh - stopped over in Dublin, Palm Sunday 2010 weekend for a Provincial Council meeting. 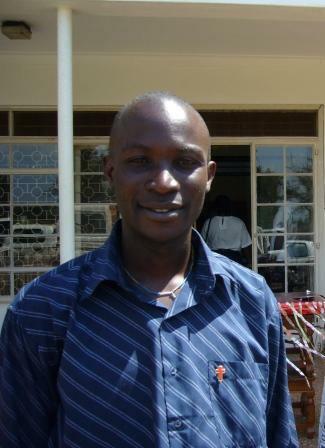 Fr James Wanjau, Provincial Delegate from Kenya visited us in March 2010.